All A4 buses travelling to the airport between 17:30hrs and 20:30hrs inclusive will depart from the lay-by in front of Bath Bus Station. The 21:00hrs journey may also depart from this point if the roads have not reopened. All later journeys will remain unaffected. This entry was posted in Uncategorized on October 26, 2016 by Victoria. 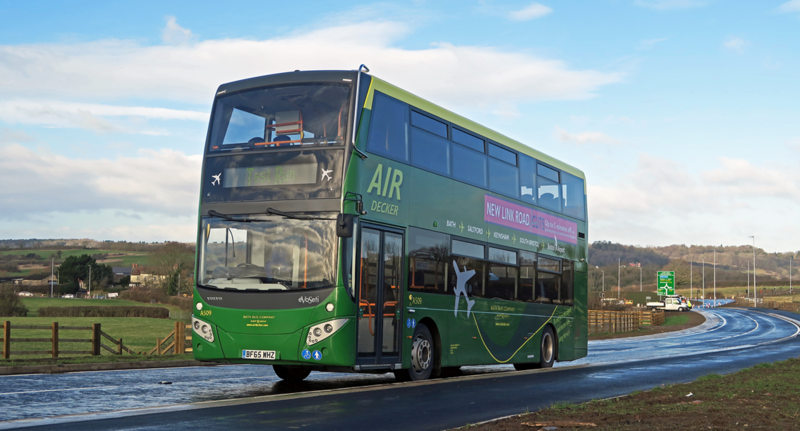 Bristol Airport to Bath – From 08:00hrs to 12:00hrs the A4 will serve Keynsham Church only, and then will divert along the by-pass, meaning it is unable to serve Keynsham Memorial Park, The Talbot and Unity Road bus stops during this period. Bath to Bristol Airport – From 08:30 to 12:00hrs the A4 will divert along the by-pass after exiting Saltford, and enter Keynsham via Hicks Gate roundabout. It will serve Keynsham Church only before continuing its normal route. It will be unable to serve Unity Road, Wellsway, and Keynsham High Street during this period. Normal service on the A4 will resume once the road closures have been lifted. Bristol Airport to Bath direction: West Town Lane Shops, Flowers Hill and Emery Road. The service will divert at the junction of Callington Road/ West Town Lane and rejoin the route at Brislington Park and Ride. Should you have any questions on how this may impact on your journey, please do contact us! This entry was posted in Uncategorized on October 14, 2016 by Victoria. The following diversion will apply to the Air Decker Service during Bristol Airport to Bath direction journeys, with journeys from Bath to Bristol Airport remaining unaffected. The Air Deckers will be diverting via Charlotte Street, Queen Square Place, Queen Square, Chapel Row and Charles Street, then turning left to rejoin the normal route into the open section of James Street West. This entry was posted in Uncategorized on October 7, 2016 by Connor Flavell. Westgate Buildings will be closed for roadworks between Monday 10th October 2016 and Friday 14th October 2016 from 1900 until 0600. The following diversion will apply to the Air Decker Service only during Bath to Bristol Airport direction journeys after 1900, with journeys from the Airport to Bath remaining unaffected. The Air Deckers will be turning left out of Avon Street into James Street West, then right into Charles Street, Chapel Row, Queen Square, left into Charlotte Street, and along Upper Bristol Road, to then pickup the route at the Nile Street bus stop. Passengers that wish to use the Westgate Buildings bus stop will need to use the Avon Street bus stop. Passengers that wish to use the Monmouth Place bus stop will need to use the Nile Street bus stop will need to use the stops on the Upper Bristol Road.